26 cm. x 37 cm. Mellors Fine Arts Gallery, Toronto, one-man show of CWJ pictures, cat. 32, asking $135.00 – not sure if this is the same version. 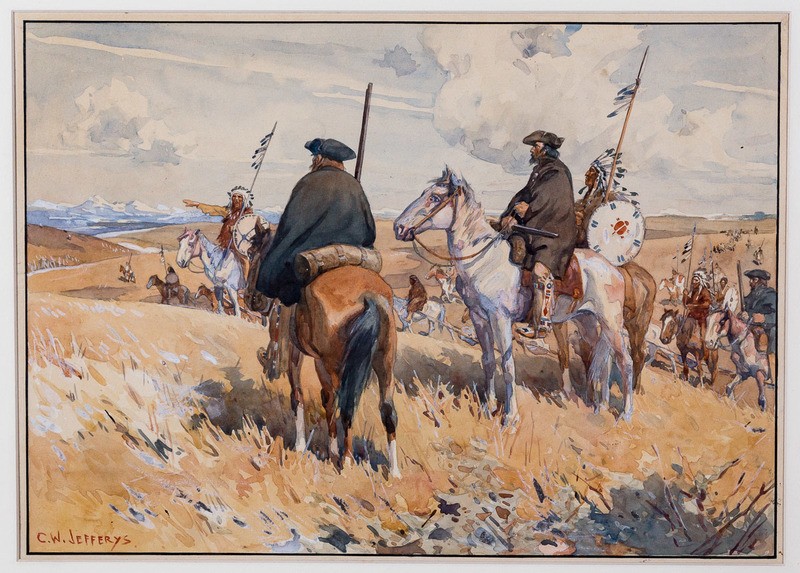 Burpee, Lawrence J., Pathfinders of the Great Plains. Chronicles of Canada Series, Toronto, Glasgow, Brook and Co., 1915. Frontis. Western sunlight: C.W. Jefferys on the Canadian prairies. Saskatoon, Mendel Art Gallery, 1986. 105 p. Illus.